Thanks for your patience over the last couple months as we’ve prepared news updates. News to come includes huge successes from the GTPE partners working with the sexual assault training sessions in the south and many new cisterns built in the north with the Rural Water Project. We have new partners supporting our work as well. 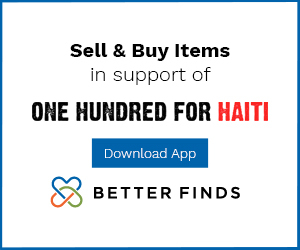 Seattle based SUGARBOMBE (a high-end treat and baking company) is supporting a new initiative we are funding in Haiti, helping to feed hungry children nutritious food on a weekly basis. We also are partnering with SEA-TOWN Real Estate in Seattle on spreading information about the work we do. Sea-Town just interviewed Greg for a podcast featuring ideas about business and life and taking action on behalf of others. You can hear it HERE. We are excited to share more news soon. 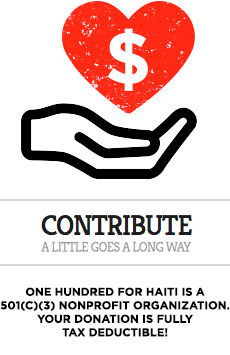 In the mean time, check out these new partners and thank them for supporting One Hundred For Haiti.